The green mussel is originally from the Indian and Pacific Oceans, and were first found in the western hemisphere in waters surrounding the Caribbean island of Trinidad in 1990 and then later along the nearby coast of Venezuela in 1993. The first known occurrence of the green mussel in the United States was in Tampa Bay, Florida, during the summer of 1999. The green-lipped mussel, a common appetizer in sushi restaurants, contains healthy fats in the omega-3 family. Like fish oil , another source of omega-3 fatty acids, green-lipped mussel has shown some promise for reducing inflammation. Inflammation is the cause of symptoms in numerous illnesses, ranging from arthritis to asthma. On this basis green-lipped mussel has been promoted as a treatment for these conditions. However, the evidence that it provides any meaningful benefits remains highly preliminary. There are two major forms of arthritis: osteoarthritis and rheumatoid arthritis . Rheumatoid arthritis is primarily a disease of inflammation, and the anti-inflammatory omega-3 fatty acids found in fish oil have been successfully used to treat it. Inflammation plays a relatively less important role in osteoarthritis. However, green-lipped mussel has been tried for both conditions, with, at present, inconclusive results. Unlike standard NSAIDs , which harm the stomach wall, green-lipped mussel might actually help prevent ulcers. Green lipped mussel has also shown some promise for asthma. The evidence regarding use of green-lipped mussel for arthritis remains weak and inconsistent. Several animal studies performed by a single research group have reported that green-lipped mussel reduces symptoms of osteoarthritis. However, the results from human studies remains inconsistent. Of five reported controlled studies of green-lipped mussel for osteoarthritis, two found benefit. In an 8-week, double-blind, placebo-controlled trial of 46 people with allergic asthma, those who received a green-lipped mussel extract showed some improvement in wheezing and peak flow of air. A typical dose of green-lipped mussel is about 200 mg per day of the lipid extract or 1,000 mg per day of the freeze-dried powder. In studies, green-lipped mussel has not caused much in the way of side effects other than occasional mild digestive distress. People with shellfish allergies, however, should avoid green-lipped mussel. 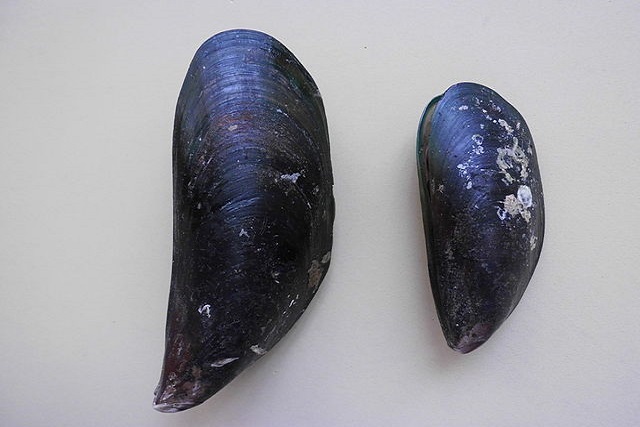 Unlike oysters, green-lipped mussel does not appear to contain heavy metals.